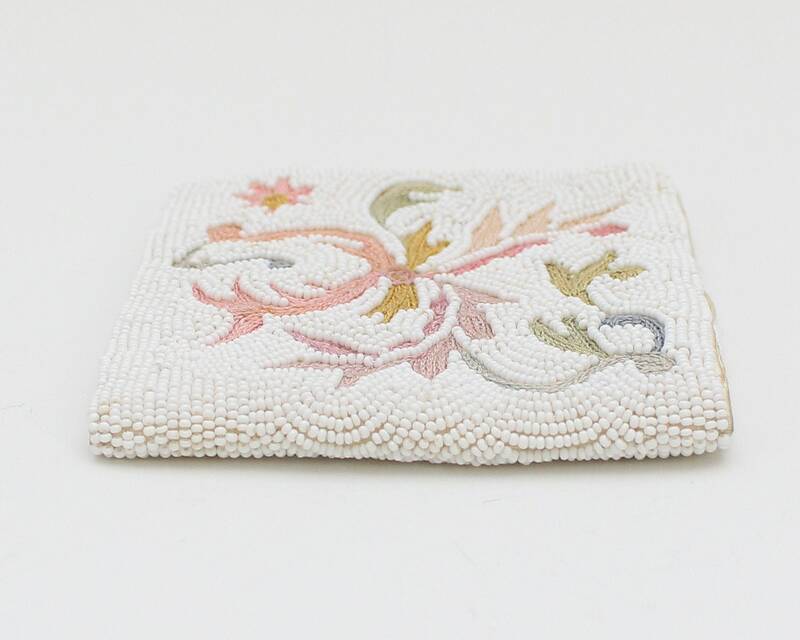 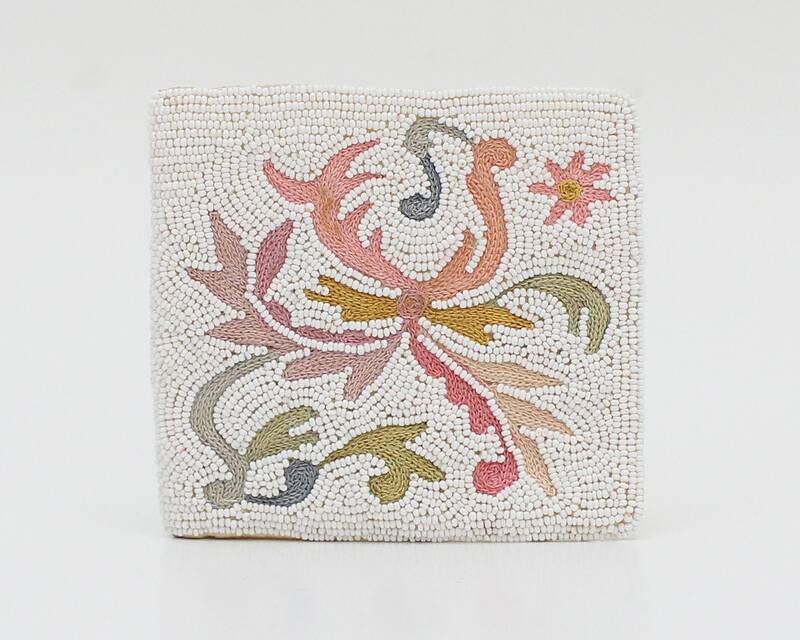 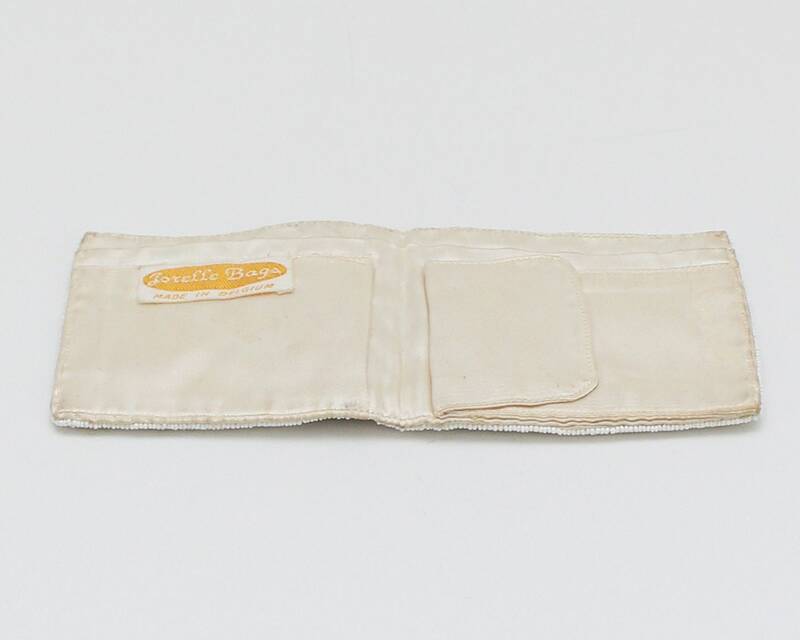 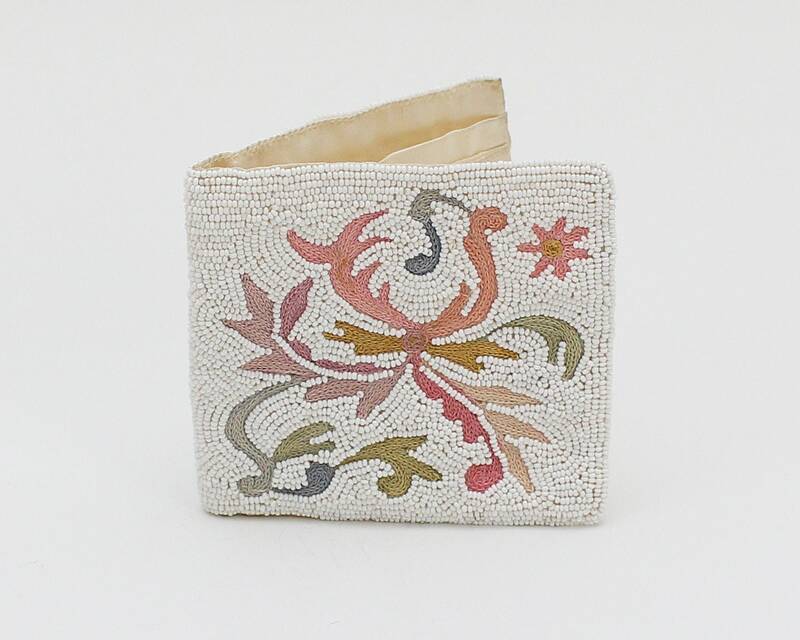 An absolutely beautiful antique beaded wallet/coin purse combination. 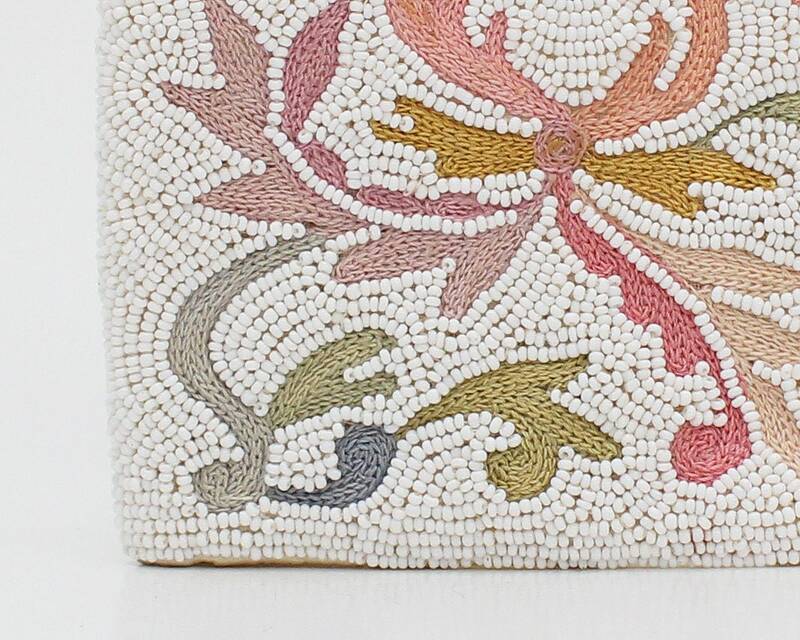 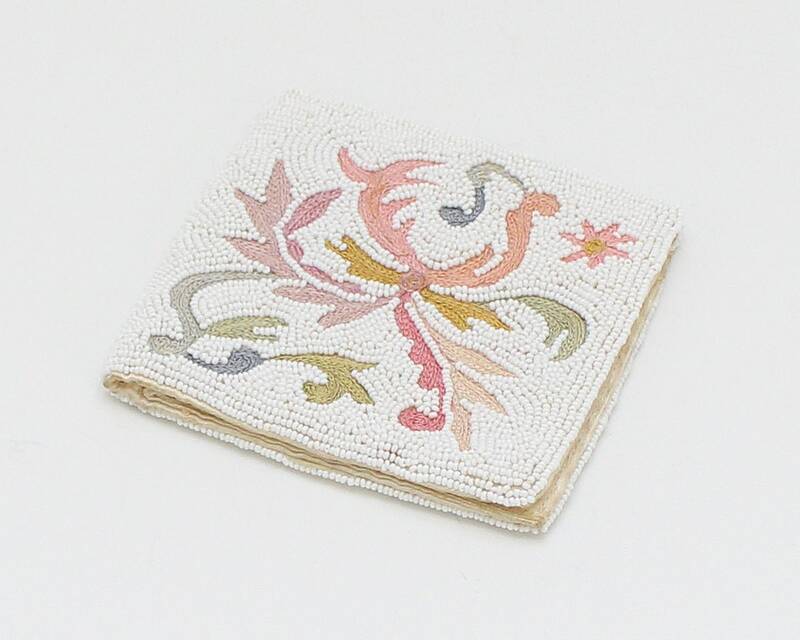 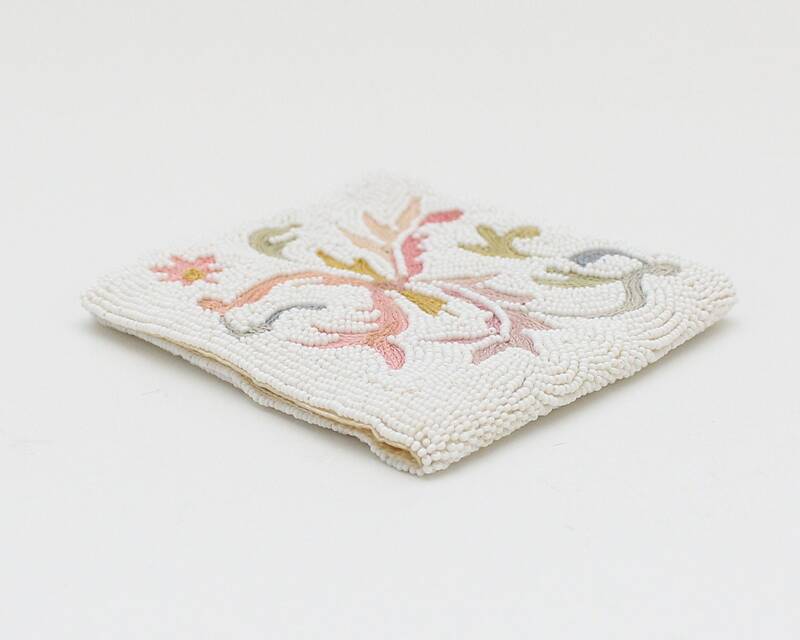 White micro seed beads are accented with vibrant and colorful floral embroidery. 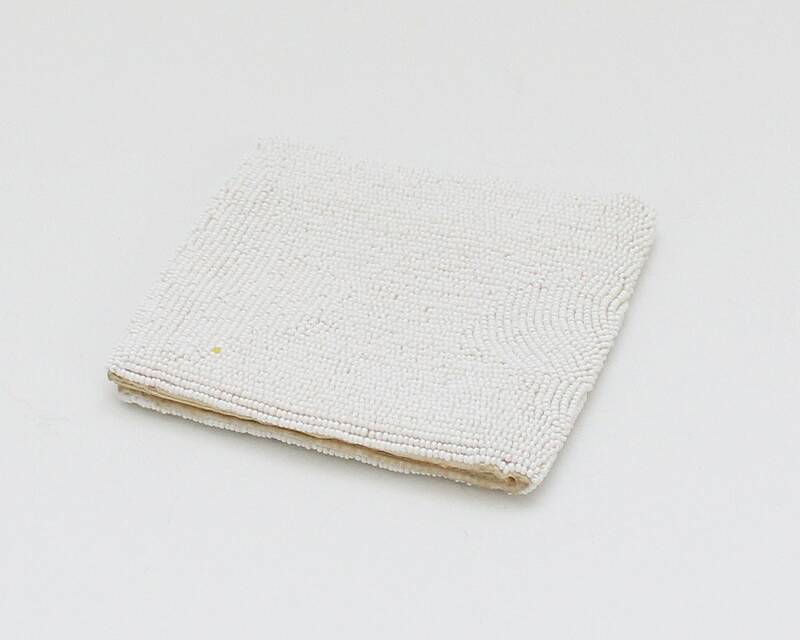 Exterior is in excellent condition, the interior some very minor soiling.